We spent close to 30 hours doing research to determine “what’s the best stand mixer”? 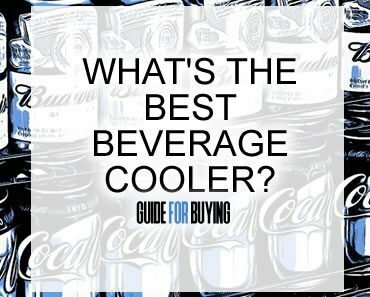 This included looking at 20 different stand mixers, reading hundreds of customer reviews, watching consumer videos, and reading advice from experts in the field and narrowed this down to our top pick and 4 runner-ups. Our top pick is the KitchenAid KSM150PSER Artisan Tilt-Head Stand Mixer. Let’s get one thing out of the way right off the bat: stand mixers aren’t cheap. If you’re going to spend money on one, you might as well get the best stand mixer you can afford. So, what’s the best stand mixer? 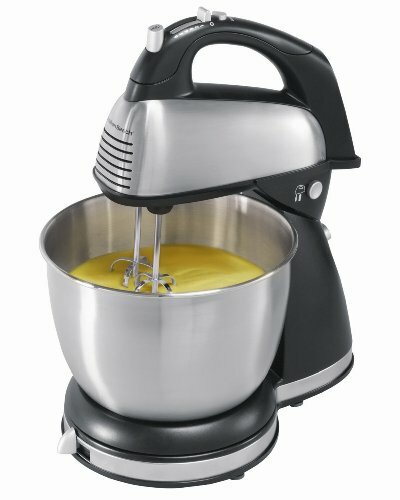 What’s the best stand mixer for me? A stand mixer is an appliance used to mix ingredients together. They are most commonly used for baked goods, but can mix just about anything, including cooked potatoes, raw eggs, whipped cream and more. If you are familiar with a hand mixer, a stand mixer is similar. However, instead of holding it, the beaters are inserted into a freestanding device. The appliance uses a motor with gears to rotate the beaters. The head of the device (the part where the beaters are inserted), pivots up and down. This allows you to fit a variety of different sized bowls under the head. A hand mixer requires you to use at least one hand to operate the device. You must manually move the device to ensure even mixing. With a stand mixer, you don’t need to use your hands. The bowl (on most models) rotates on its own (although hand-adjusting is sometimes needed). You get a faster, more efficient and more even mix with a stand mixer. Plus, you don’t get the muscle and joint strain sometimes associated with rotary and hand mixers. Not only that, but stand mixers are more powerful. You will know what we mean if you have ever tried mixing bread dough with a hand mixer. They generally do not have enough power to work the gluten in doughs, even at the highest speed setting. Stand mixers, on the other hand, can whip through glutinous dough with ease. Additionally, you can get different attachments for a stand mixer (besides the standard beaters), including dough hooks. These attachments are designed for use with specific types of cooking. Dough hooks are for mixing and kneading bread dough. Whisks are used for anything liquid that you want to add volume to, like egg yolks and/or whites or whipping cream. Paddles are for thicker, heavier batters. Additionally, today’s stand mixers offer attachment options that essentially turn your mixer into a food processor. They allow you to cut, slice, dice, grate, shred, peel and otherwise prepare a huge variety of foods. In short, if you cook regularly for fun or out of necessity, you should invest in a stand mixer! Stand mixers typically (though not always, as you’ll soon discover) cost more than hand mixers. That being said, they can actually vary greatly in price, from less than $50 to over $500. The average cost for a stand mixer is between $200 and $300. 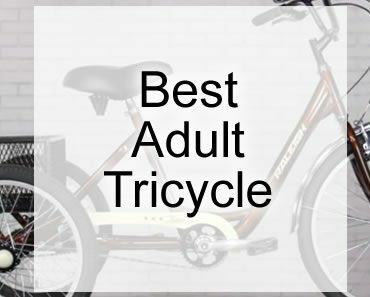 However, there are some decent models in every price category. This means that you may be able to afford one even if you’re on tight budget. Generally speaking, you get what you pay for. More expensive models tend to be better quality. Nonetheless, there are a lot of other factors that go into the price of a stand mixer. Sure, you can get one with all the bells and whistles, but do you need all that? Try to think of shopping for a stand mixer like shopping for a car. All cars have the same primary purpose: to transport the user from one location to another. The same is true of mixers. They all have a primary purpose: to mix one or more ingredients for cooking. Every stand mixer will do this, regardless of cost, features, speed, etc. So now you would need to ask yourself the same questions you would when buying a car: what features would be nice to have but I could live without? How long does it need to last me? Do I really need turbo? On the other hand, if you are an avid cook, prefer to cook most dishes from scratch, have a large family or love throwing dinner parties, it may be worth spending more to get a higher-quality and multi-functional stand mixer. 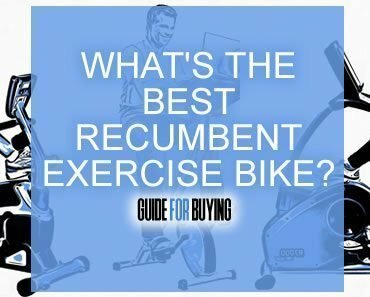 How important is a guarantee to me? What sorts of things do I see myself cooking with it most? If I opt for all the extra attachments, will I use them enough to justify the extra cost? How frequently do I bake? In other words, it would be fun to have a stand mixer that does everything but vacuum the floor for you. However, if you don’t really need tons of extra features, you can spend less and still get a high-quality appliance that meets your needs. However, if cooking is your thing, why not invest in a stand mixer that is going to last you for years? Still Not Sure What’s the Best Stand Mixer for You…. Don’t worry, we’ve got you covered. There’s a lot to choose from out there and it can be confusing. We’ve done some of the work for you in an effort to help you find what’s the best stand mixer. In fact, we have conducted thirty hours of research on 20 different stand mixers. We’ve read operating manuals, watched consumer videos, read consumer reviews and sought advice from field experts. From these 20 popular stand mixers, we have chosen our top five picks for what’s the best stand mixer. And guess what? Some of them are even priced at less than $50! KitchenAid has a long history in the business of appliance-making. It is known for quality workmanship and functionality without sacrificing aesthetics. We were not surprised that this one came out on top. 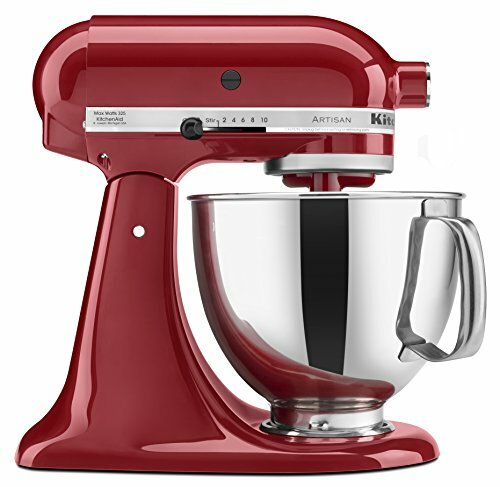 One of the things that struck us about the KitchenAid KSM150PSER is that it comes in an astounding 45 different colors! No other stand mixers even came close to this. No matter what your kitchen color scheme is, you’ll be able to match it with one of these. But the KitchenAid KSM150PSER is more than just a pretty face. It also gets the job done efficiently. Plus, it’s extremely versatile. Not only does it mix, it can also grind meat, shape pasta, make ice cream and more with its selection of 12 attachments. Here’s a breakdown of what you’ll get with the KitchenAid KSM150PSER. Overall, we were very pleased with the KitchenAid KSM150PSER. It offers a lot of practical functionality with options to increase its capabilities if desired. It performed well on a variety of different foods. We did have minor concerns about the bowl that comes standard with the appliance. We would suggest that you have an alternative bowl (perhaps a glass bowl) as a backup. Hamilton Beach is another company with a solid reputation as a kitchen appliances manufacturer. As stand mixers go, the Hamilton Beach 64650 isn’t the fanciest on the market, but that is what makes it the perfect starter stand mixer. It’s ideal for those who are just starting to furnish a kitchen, those who cook for small crowds (like a family of four, give or take one) and those who cook or bake a lot but long to escape the tedium of the hand mixer without spending a fortune. If you’re in the market for your first stand mixer, the Hamilton Beach 64650 is a quality choice. 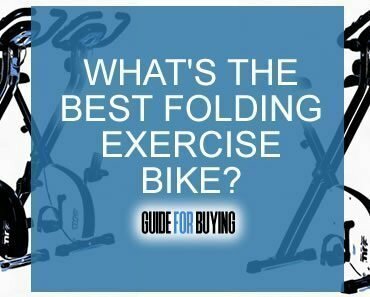 It’s inexpensive and gets your basic cooking and baking tasks done. It has some drawbacks, but they’re easy to work around. Just use the “shift and stir” feature to reach all sides of bowl, for example. Using this model for awhile will give you a good idea what you want out of a stand mixer. You’ll be more experienced if and when it’s time to upgrade. You’ll know what you want and don’t want in an upgraded model. 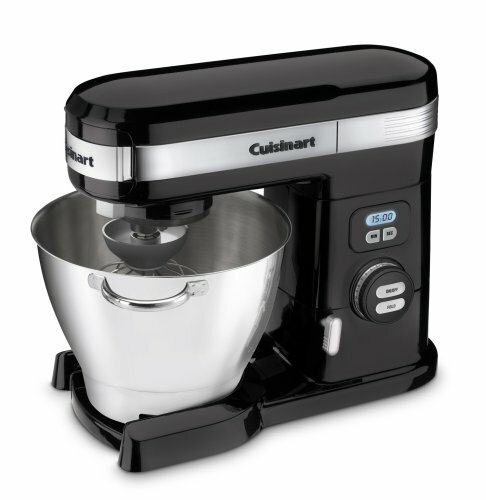 We weren’t surprised to see a Cuisinart model make our “what’s the best stand mixer” top five list. Cuisinart is yet another trusted, reliable and enduring kitchen appliances brand. The 5-1/2-Quart 12-Speed Stand Mixer stood out to us as a quality choice in the mid-price range category of stand mixers. It has a lot to offer the more seasoned cook. It may be a little pricey, but we think the price is justified by all that you get. The Cuisinart SM-55BK has a warranty that is exceptional in its market. You can rest assured that you’ll be able to use this mixer for years to come. We love. the fact that this model is so versatile. It preps and processes a wide variety of ingredients. Plus, its super-speed capabilities ensure that you can power through even the thickest and stretchiest of bread doughs. If you are an avid cook, baker and/or like to do a lot of cooking from scratch, the Cuisinart SM-55BK is a worthwhile investment. Breville made its original mark in the kitchen when it created its first product. It was a wildly-popular sandwich toaster and it’s this appliance that many consumers still associate most closely with the Breville brand. It might seem a little weird, then, that a Breville stand mixer made our “what’s the best stand mixer” top five. However, after its sandwich toaster, Breville went on to create even more quality and practical kitchen appliances. 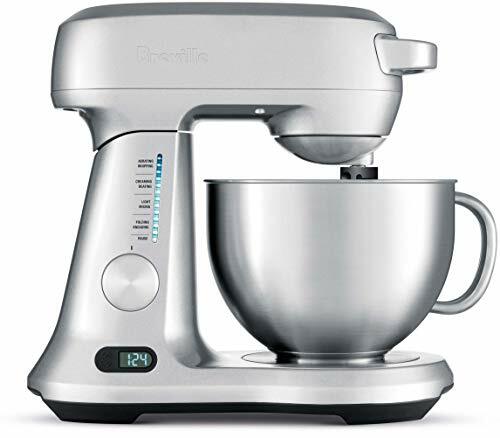 One of them is the Breville BEM800XL Scraper Mixer Pro 5-Quart Die-Cast Stand Mixer. 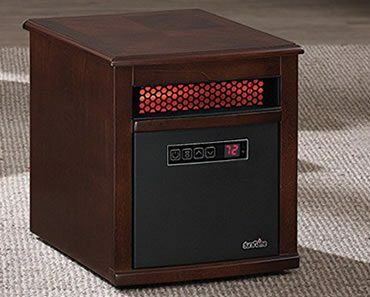 It stands out to us for its sleek design married with practical functionality. Sometimes when a company enters the market with one signature product, its subsequent products don’t measure up. Happily, this was not the case with the Breville BEM800XL. This stand mixer was a pleasant surprise deserving of its number four spot on our “what’s the best stand mixer” list. Although pricey, it offers some desirable benefits. Its planetary mixing action gives it an edge over others in its category. We also appreciate that the settings are labeled by task as well as number. We recommend the Breville BEM800XL for the casual cook or baker. It is also well suited for those who cook for a family. Sunbeam FPSBHS0302 250-Watt 5-Speed Stand Mixer. Sunbeam is a company best known by consumers as a maker of inexpensive to moderately-priced household small appliances. It makes a variety of products and several models of mixers. 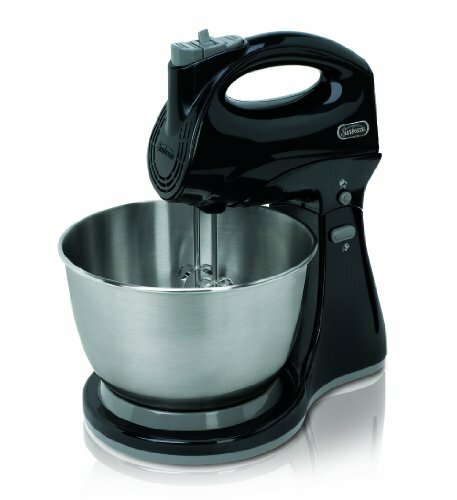 The Sunbeam FPSBHS0302 250-Watt 5-Speed Stand Mixer made our “what’s the best mixer list” for a variety of reasons. It’s a great entry-level product for stand mixer newbies with lots to offer. The Sunbeam FPSBHS0302 a feasible choice for those who want to transition from a hand to stand mixer but can’t afford a typical stand mixer. You get the best of both worlds with this model. 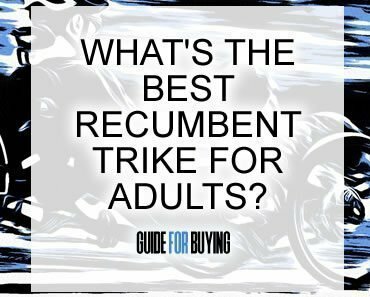 Plus, you’ll learn what you like and dislike about stand mixers for when you’re ready to upgrade. This model has some challenges, but nothing that can’t be worked around. We love that it comes with twice as long a warranty as most other mixers in the same category. It’s not only ideal for the casual cook. It’s also a perfect solution for the space-challenged kitchen, since it is small and compact. Who ever said you can’t afford a stand mixer?